Middle School Book Group Begins! Check out the Library's Instagram Account! The Millis Middle/High School Library is open from 7:30 AM until 3:30 PM Mondays through Thursday, and until 2:30 PM on Fridays and days preceding school holidays. Students are welcome to come before, during and after school to browse our collection, use the computers and resources, and enjoy this area of the school. The library is staffed throughout the day. Whether it's locating a book or print a page, find a resource or discuss a question, we are here to help with your library needs. The library is open at 7:30 AM to welcome students, Mrs. Boissy works the day and oversees after-school hours, and Mrs. Divver is here throughout the hours the library is open. The Library's Collection: Print and Electronic For both middle and high school students and staff, the library offers over 16,000 titles in its collection. In addition to print materials, there are over 220 electronic books from Follett Shelf, 70 titles in Nook format, and access to the World Book eBooks (with over 1800 titles). The library's online collection is available 24/7. Search the Catalog by keyword, title, author, subject or series. Patrons can preview and select materials to check out through this link. Ebooks may be downloaded and read. 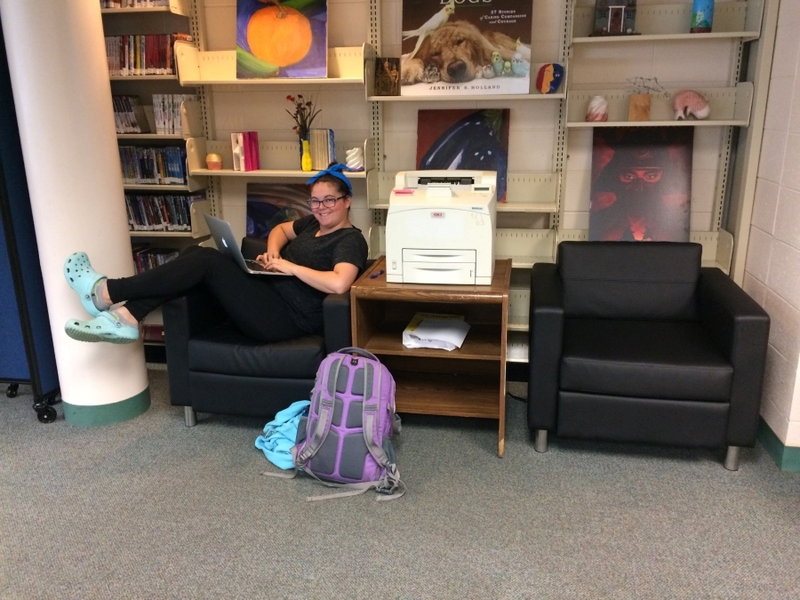 (User Name: Millis Public Schools - password: Library). Through the Middle/High School Library connection with the Massachusetts Board of Library Commissioners, the Massachusetts Library System with state funds and Federal Institute of Museum and Library Services Funds, the Gale Databases and the Encyclopedia Britannica online are available to our library. We also subscribe to World Book Encyclopedia and eBooks as well. The Electronic Databases provide connections to periodicals, magazines, newspapers, eBooks, podcasts, websites and more. These resources may now be accessed from school and home. Encyclopedia Britannica connects to links for personalized learning at three levels: Elementary, Middle and High School. Read-aloud options are at all levels and translation is available for over 50 languages. Topics include "Behind the News", "On this Day", "In Their Words", and "Science in Pictures." Additional connections are available for Current Events, Primary Sources, and The New York Times. Spanish Reference Center includes a reference collection for both Middle, High School and College. Access to Original Source Documents from U.S. History can be found in Annals of American History. Current and historical statistics on the countries of the world can be found in World Data Analyst. The online encyclopedia, World Book, provides an encyclopedia with plenty of additional tools. Check the link and explore the World Book Discover area, with dictionary, atlas and videos. All the encyclopedia entries give proper citation information to help you with your research.